Within the organization, this creative team is called ‘Men in Blue,’ and they have created many eye-catching metal sculptures so far. 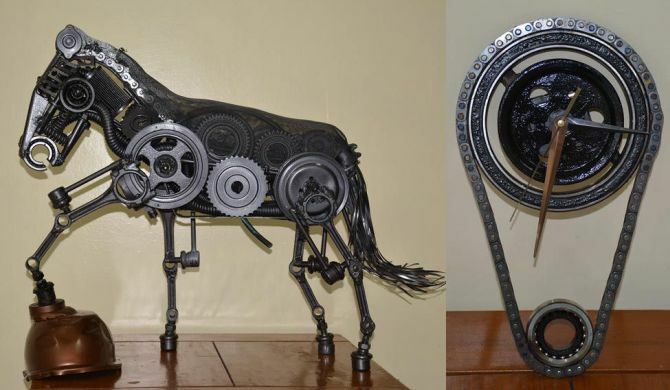 From beautiful horse sculpture to an industrial-looking timepieces, they have contrived many artful objects. All these handmade art pieces are further showcased at an exhibition organized by the company itself. 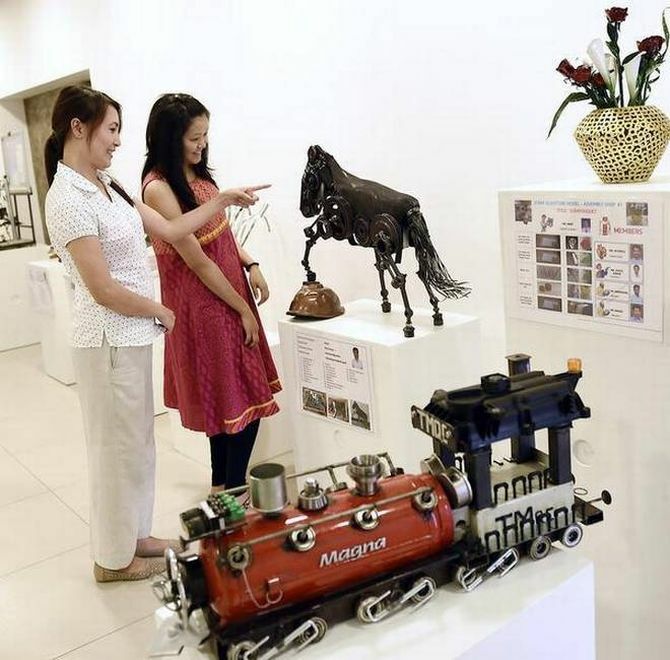 This year their art exhibition – Scrap to Sculpture was showcased in a 5-day exhibition at InKo Centre, Chennai from August 31 to September 3. The exhibition was open for general public and family members of the talented employees who made some of these gorgeous sculptures. This time they sculpted a multicolored butterfly out of bolts, metal rods, wheel nuts, and big gears; a Rooster out of an array of electronic objects; and a thirsty crow sculpture. All these artifacts were among the total of 15 art pieces that were displayed at the exhibition this year. With all these sculptures, the company aims to underline the message that “waste is not useless, but a productive item.” It shows us how people are getting more concerned about the environment. 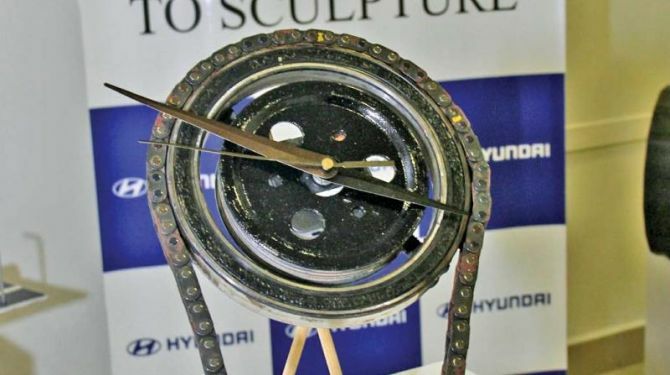 We all must learn from Hyundai Motors team to reuse and turn scrap into functional objects.